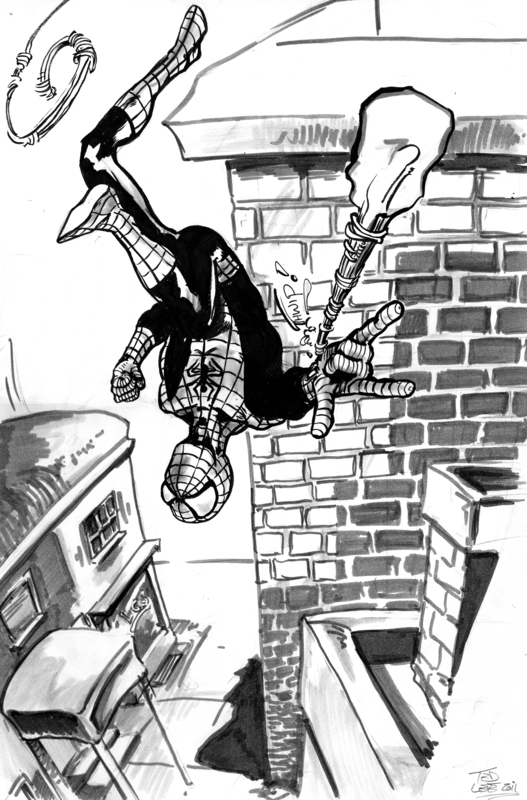 I try not to focus on other people’s creations, but I do love drawing Spider-Man. 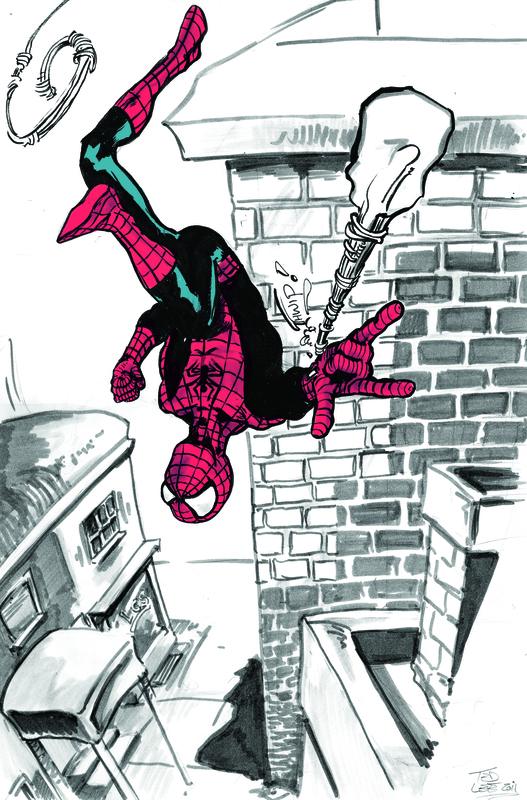 In the spirit of posting more regularly, and since this is what I’ve been doing for most of the afternoon, here’s my contribution to this week’s LCS drawing theme: We’ll be collecting a bunch of different Spidey Pin-Ups and giving them to a sick local Spider-Man fan. 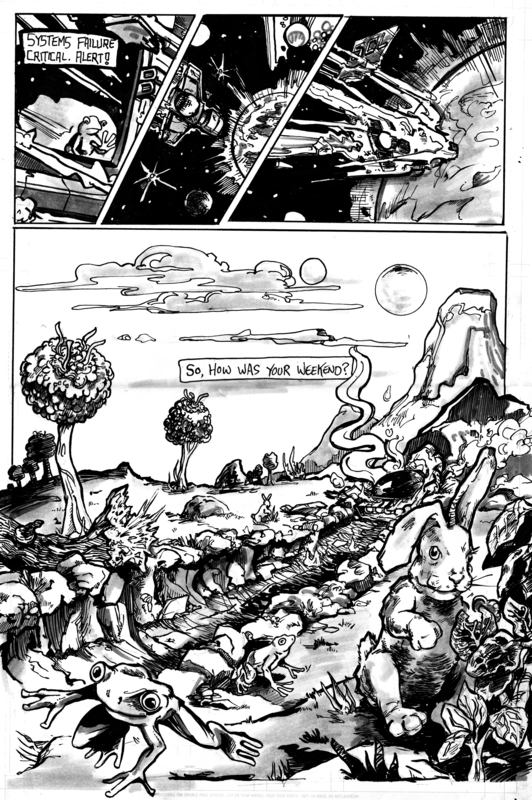 from my collaboration with Bruce Thomas, All The Time In The World, part of the net LCS Anthology, The Future!